Monsoon time and feel like having a hot bowl of healthy soup. Here you go !!! 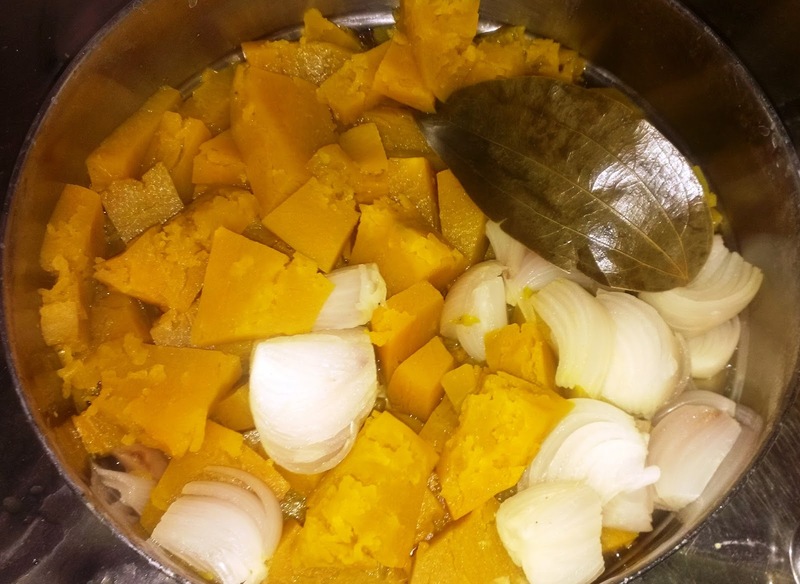 Pressure cook pumpkin, onions, garlic, cloves, cinnamon and bay leaf for 3 whistles. Grind to a fine paste. Add water and bring to a boil. You can add milk at this stage if you want a creamy soup. Add salt and pepper to your taste. 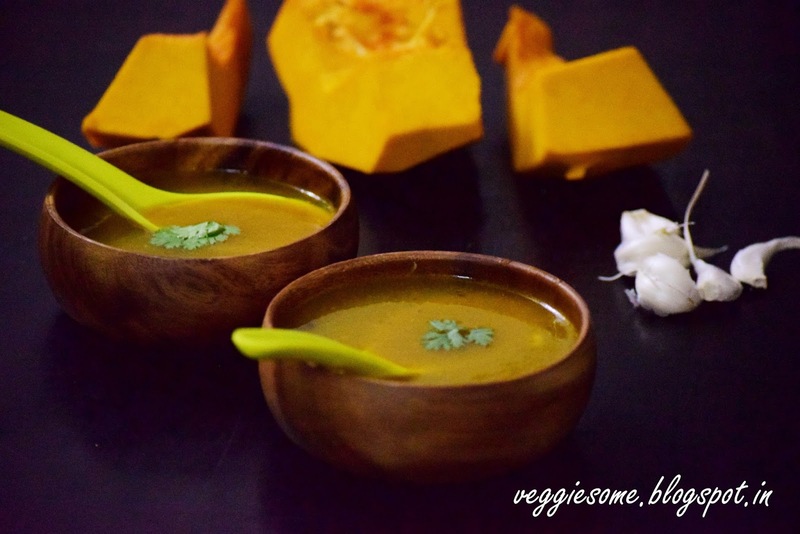 Labels: Pumpkin soup, vegetarian soup. Thank You , Archu !!! Tried this at home yesterday. Super hit. Thanks anitha. 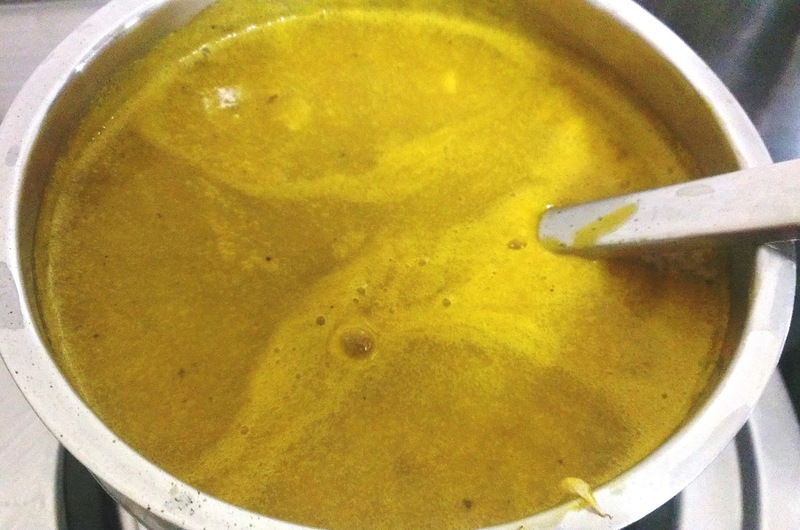 Do post more soup recipes. Thank you Vandana. Sure will post more soup recipes soon.